Google is a fully automated search engine and is free for users. With the example, it will make clear to you what does Google thinks of your website and how it works. What does come into your mind when you hear Google? Its products and services name like G-mail, chrome, Android, etc. What do you think of my Linkedin profile? What will you do to think? I think you'll follow some procedures for this. You'll do action like Accept my friendship or decline. The similar procedure applies by Google on your website. So, first, it'll be important to know how it works. How does Google look of your website? Google searches for the website with the help of its web crawler. A web crawler is an automated software. In general, we also call it Googlebot. If you do not use any technique to stop Googlebot, Google crawls or fetches the pages of your website, reads it and indexes it. You can submit your website manually also. Yes. Google offers Google Webmaster Tool (GTW). It's free. You must log in and submit your URL. Then, follow the guidelines of the Google webmaster. Submit your versions of a website. Conclusion: Google crawls all the websites of the web automatically. We can also submit our website to Google manually. 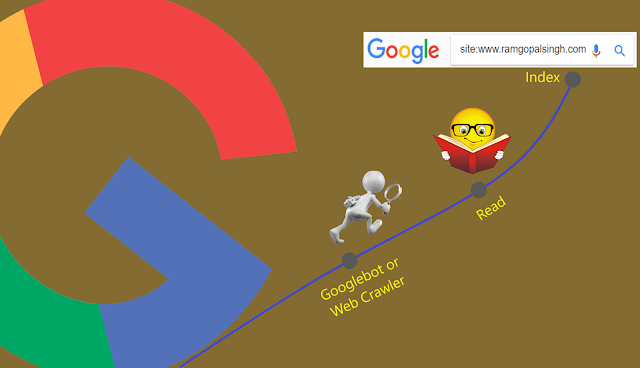 After crawling the web URL or manual submission, Google reads the content of the page. How does Google read your website? In particular, to read a web content, Google has developed many algorithms and AI machines to check. For example, panda, penguin, etc. At this stage, Google reads and scans your website. If you think about avoiding it, then it is never possible. In fact, Google collects data from quality search raters and uses it to improve their algorithms. This is a routine work for Google employees. You can read this post to know more about: What is Search Engine Optization. Conclusion: Google focuses on the quality for their users. If your site violates its guidelines, then Google may take manual action against it. Maybe your website deindexed in Google. But don't worry, Google gives you chance. Once you have resolved the error, you can submit your site for reconsideration. How does Google index your website? When Google reads your content and analyzes your applied techniques, it judges and gives a score. If your web page meets the criteria of its guidelines than it'll be indexed otherwise not. I am not talking about here ranking factors. You want 100 percent indexing then you should follow the Google's guidelines. Go to google.com > Write "site:Your Web URL" > Check the result. If you see your URL in the search result that means your web page has been crawled. For example, a search for "site:www.ramgopalsingh.com" returns these results. Conclusion: Google never compromise with quality.